This morning, I had received word that KungFuCinema.com, a site I had written for since March 2008, had shut down. The site had been down since July 11 and of course, questions were being relayed. Thanks to the site’s head of forums, Teako (just his nickname folks! ), we had received the sad word that the site was being permanently shut down. 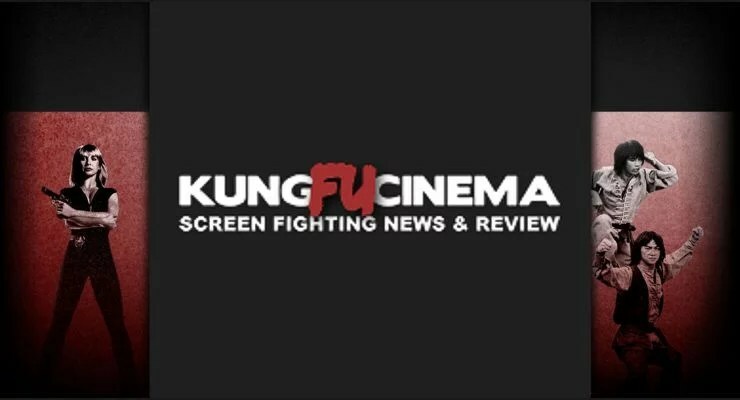 My affiliation with KungFuCinema.com and its owner, Mark Pollard, began as with many fans, checking out loads of fan sites in relation to martial arts films. During my college days, I started up a small website and even came up to a permanent site called High Impact. Kung Fu Cinema used to have a “Link of the Week” and when my site became one of those links, I was so ecstatic, I made the announcement in one of my film classes and even got to write the link on the whiteboard. Flash forward to 2007. I had shut down High Impact the previous year due to personal reasons after a total of a seven-year run. In October, I joined what would be the Kung Fu Cinema forums, made from the original Kung Fu Fandom. Then in March 2008, thanks to the support of some of the forum users, Mark had personally asked me to write for the site. I felt so honored that I had to say yes. And thus, began my seven-year journey with Kung Fu Cinema. With the title indicating classic kung fu films, I had written about loads of reviews on more modern-day American martial arts movies as well as the latest Asian releases with the occasional classic kung fu film (which I usually made sure were films Mark hadn’t reviewed). When Mark decided to step back and focus on other endeavors, I felt determined to keep the site going, but in all honesty, I can’t take all the credit. It took a team to keep this site going for as long as it did. Aside from myself, Kung Fu Cinema also had Jean Lukitsh with her excellent column, Electric Shadows and articles on basically anything connected to Donnie Yen. I really had enjoyed her interview with John Salvitti when he choreographed Pound of Flesh, starring Jean-Claude Van Damme. For a brief period of time, we had Gazz Ogden come in to write for the site and I thought he did a good job for what he had. Mark even had the pleasure of having a guest reviewer in John Kreng, the author of the very excellent book Fight Choreography: The Art of Non-Verbal Dialogue, with John reviewing the 2010 reboot of The Karate Kid. Mark Pollard is truly a great guy and a great mentor. When I heard that he shut the site down for personal reasons, it did come in as a shock. However, it reminded me of why I had to shut down my old site back in the day and can totally see where he is coming from. While I don’t know the specifics of the personal reasons, just hearing those two words is good enough for me. Maybe one day, he may return and bring Kung Fu Cinema back to life. Who knows? But I will say, this was an amazing seven-year run and while there were a few bumps in the road, I am proud to say I was a member of the Kung Fu Cinema universe and I will be forever grateful to Mark Pollard, whom I consider the “Grandmaster” since this was his baby. Two other well known film bloggers, Paul Bramhall (aka One Armed Boxer) and Lee B. Golden had written about their memories of the site. You can check out Paul’s memories at City on Fire and Lee’s at Film Combat Syndicate. With the bad, there is some good. The aforementioned Teako had been able to revive the original Kung Fu Fandom boards before its move to Kung Fu Cinema on another platform. If you are interested in joining these message boards, go to kff.yuku.com and it is free to sign up. I for one, have joined and am excited about reuniting with my KFC family once again. Before I end this post, I wanted to share one of my all time favorite highlights of writing for this site. Eight months ago, on the set of the film The Chemist, Sasha Mitchell, the star of Kickboxer 2, Kickboxer 3, and of course, Kickboxer 4, gave a shout out to the site. Art Camacho, the film’s director, has been a dear friend since 1999 and he was responsible for this happening. Thanks Art and Sasha! With that said, I will miss Kung Fu Cinema, and World Film Geek is the beginning of a new chapter in my writing. If you are on the KFF/KFC Forums at Yuku, I hope to see you there soon!! !